ABBYY empowers customers to capture, extract and action information using artificial intelligence. 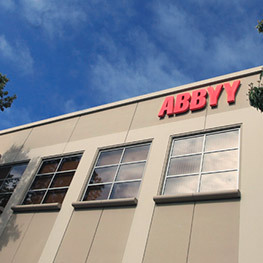 ABBYY has a global presence with customers and employees in every continent of the world. 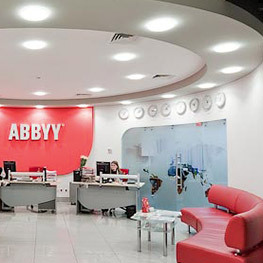 Working at ABBYY provides you the possibility to interact and work with a vastly diverse team to introduce the future and make people’s lives easier. Experts in Artificial Intelligence – from automated data entry and text recognition to fact-mining technologies and business solutions. ABBYY Encourages employees to reach their full potential and develop new skills. Every person contributes to shaping the world we know in most innovative ways. 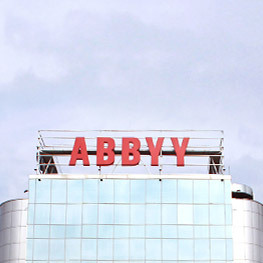 A passion for making a difference in the world through innovative technologies is what ABBYY is all about. ABBYY is a successful Global Company that is still small enough for each employee to feel like their contributions, thoughts and ideas can make a notable impact. If this inspired you, we’d love to talk! 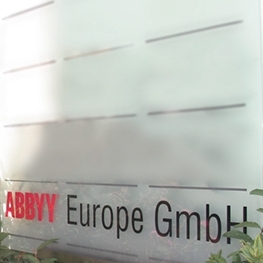 Today ABBYY has offices in Germany, the UK, France, Spain, Ukraine, Cyprus, Russia, the United States, Australia, Japan and Taiwan.